There are a surprising number of cookbooks covering a single fruit or vegetable and mostly I'm a bit skeptical about how useful they are. Not in this case. This book covers both Summer and Winter squash and has breakfast and brunch dishes, dips & soups, main courses, salads & sides, breads & desserts! I love how creative the recipes are. Speedy Pumpkin Waffles, Osso Buco with Butternut & Cannellini Mash, Savory Zucchini Popovers, Kabocha Deviled Eggs and Butternut Brownies are just a few of the intriguing recipes. There are 26 zucchini recipes alone. Let’s just say you will never complain about having too much zucchini ever again! 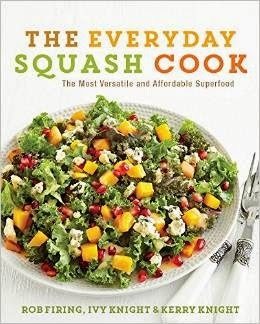 If you know someone who grows squash this is a great book. I am crazy about tamales. If they are on the menu at a Mexican restaurant I will almost always order them. Of course there is a world of difference between good ones and lousy ones. Good ones have almost creamy, rich and flavorful masa and delectable fillings. Lousy ones are dry and crumbly, hard and bland. 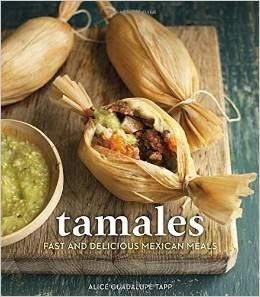 While I already have one book on tamales, I was happy to see this one too. Quite a number of things set this book apart. There are diagrams to show how different wrapping styles, recipes for “nose-to-tail” tamales made from lamb head, beef cheeks, tongue, tripe and more. There are also recipes for salsas and sauces to serve with your tamales, and quite a few vegetarian fillings like artichokes, creamy mushrooms, even broccoli and cheese tamales and bunch of sweet dessert tamales as well. If you want to make tamales at home, this is your book. When I was in Honolulu the last time around I arrived on a Sunday and my first stop from the airport to Koko Head Cafe, Lee Anne Wong’s brunch spot in Kaimuki. I had the amazing cornflake french toast but I had to come back for the dumplings because they were already sold out. On my next visit I got the perfectly fried fish dumplings. 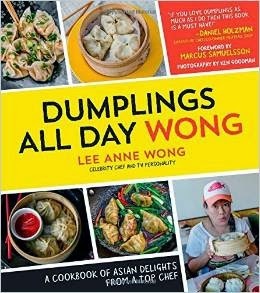 Wong clearly loves Asian style dumplings and makes both traditional ones as well as her own modern versions. There are steamed, boiled, deep fried and pan fried dumplings to satisfy your dumpling cravings. There are tutorials on how to make doughs and wrappers, how to fold and cook dumplings and more. The pantry section on Asian ingredients is reason enough to buy the book. Recipes I’ve bookmarked include Spicy Chicken Yuzu Gyoza, Sardine Ginger Wonton Soup and Pork and Chive Dumplings. One caveat, although the book cover is somewhat reminiscent of the Dummies books, this book can veer into being a bit "chaffy" from time to time with long ingredient lists and multiple preparations per recipes, that said the instructions are clear and the recipes so creative I still recommend it.